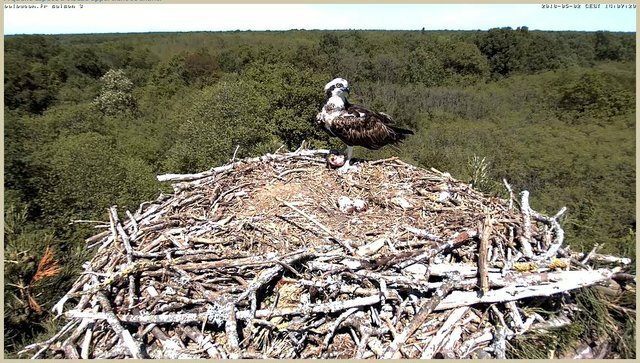 Sam seems for the moment very calm, very present, active, good fisherman. We have not seen it yet, it may be the surprise? 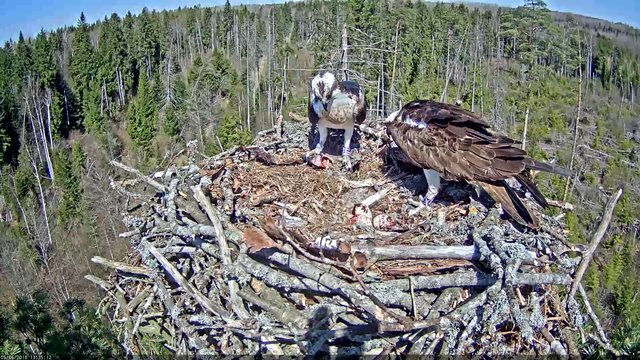 Viewing this video may lead us to moderate the impression we had on direct vision, the one Sam had gracefully left his fish to Sylva. 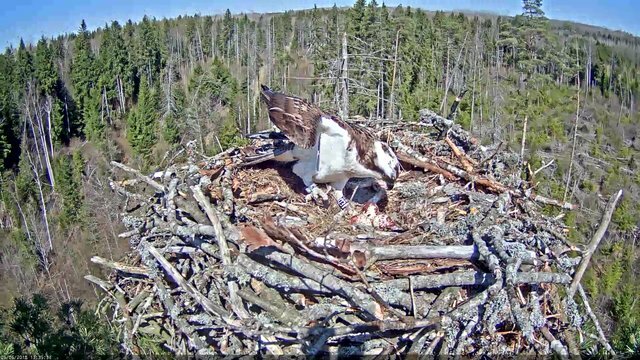 In reality, Sam first lands carefully on the edge of the nest. 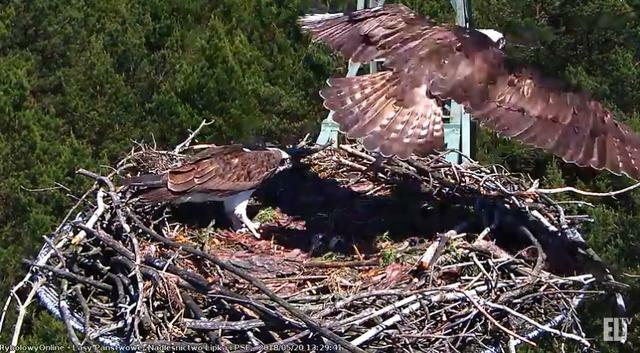 Seeing the fish, Sylva gets up and rushes for prey. But the visitor, believing that he is the target, disappears in time, and goes for a walk. And we see him coming back and landing again in the next minute. It moves forward, slides, goes back, always fish at the foot. Then he decides to stir wood, and finally to move a piece away, loose the fish. Gradually it deviates a little more from the fish. Sylva watches the scene, and seeing Sam away from her prey, she tries her luck and throws herself on her. 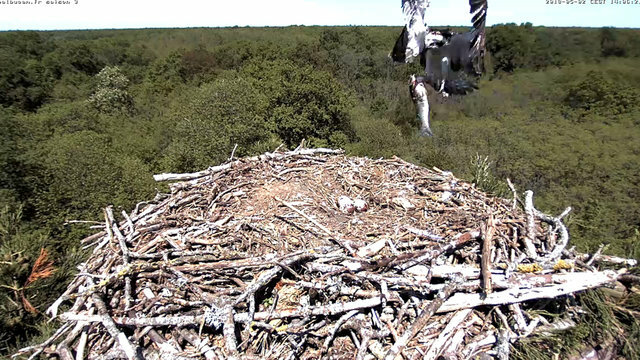 Sam believes again to be the target and flies away, leaving his good to the hungry female. 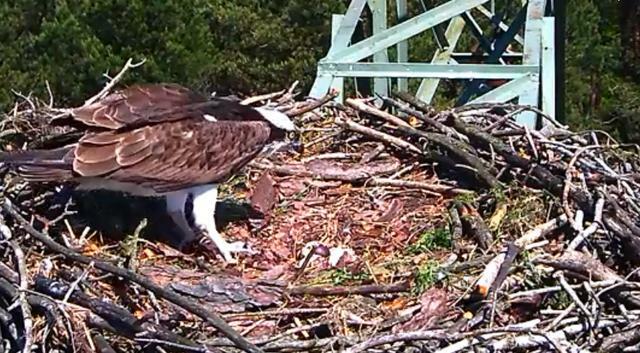 I took the liberty to go fishing for information about Sam, the third supposed male that we have not seen in a few days. 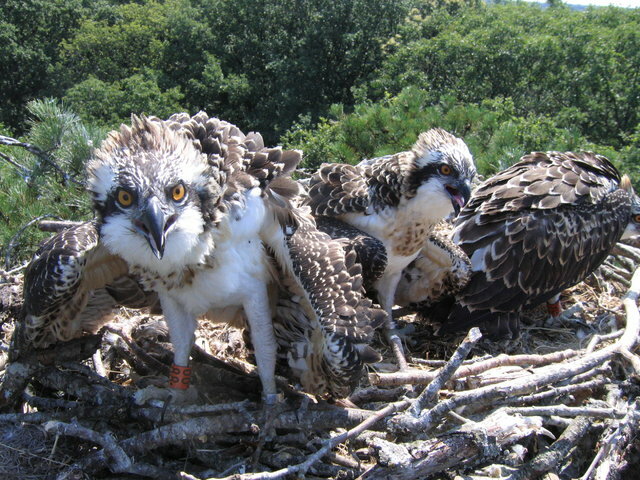 It is indeed a young male, ringed in the nest by Rolf Wahl the 01/07/2015 in Châteauneuf sur Loire in a brood with 3 youngsters. Sam is ringed 89. 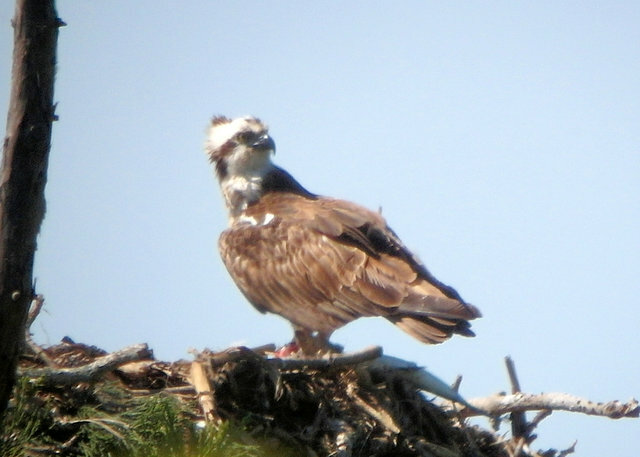 (the "point" is important) and was part of a brood including 88 and 90 Osprey. I have no information about the fact that all were flying or no. 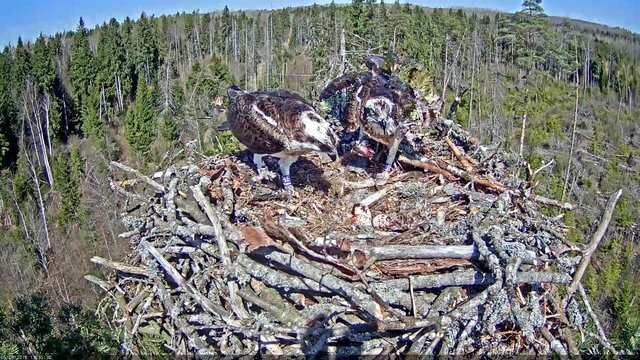 Here is a small picture of Sam still in the nest with the rest of the brood (it is the back of the ball whose head can not be seen but which we can read the ring). 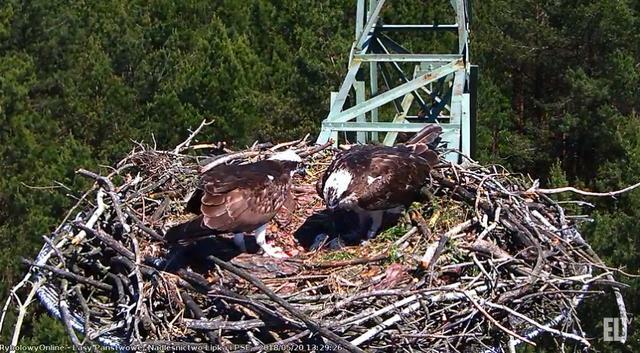 Good morning three eggs & breakfish before cam stucks again,too many visitors? & Nantucket and sailing now 312 nm south from Halifax, Nova Scotia on their way to Cardiff, Wales. They're expecting gale winds...and good speed.